Within this newly established research project, 34 researchers from Benin, Burundi, Germany, Ghana/Canada, Kenya, Nigeria/South Africa, South Africa, Tanzania, Uganda and Zimbabwe will work together to analyse current issues of African Regional Economic Communities. The focus lies on the institutional setup of these communities, the implementation of community law on the national level as well as on harmonisation of laws. It is a unique feature of the project that researchers from the disciplines of law, economics and political sciences will cooperate to enrich their respective perspectives with interdisciplinary insights. The project is funded by the Germany Ministry of Economic Cooperation and Development (BMZ) from March 2017 up to December 2018. It is jointly carried out by the University of Bayreuth and the University of Dar es Salaam School of Law. The leadership team comprises Mr Johannes Döveling (Bayreuth, Project Leader), Dr Daniel Shayo (Dar es Salaam, Project Coordinator) and Mr Petro Protas (Dar es Salaam, Assistant to the Coordinator). More information on the project (in German). 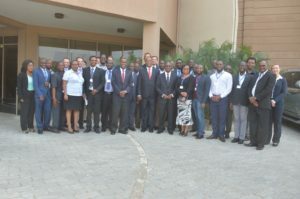 Researchers from all over Africa and from Europe participated in the Research Workshop. Minister of Justice Hon. 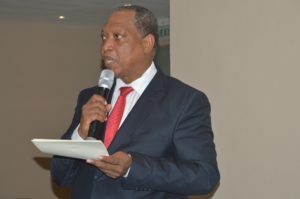 Prof. Kabudi launched the Research Project. The Centres of African Excellence programme welcomes two new centres in West Africa!! !